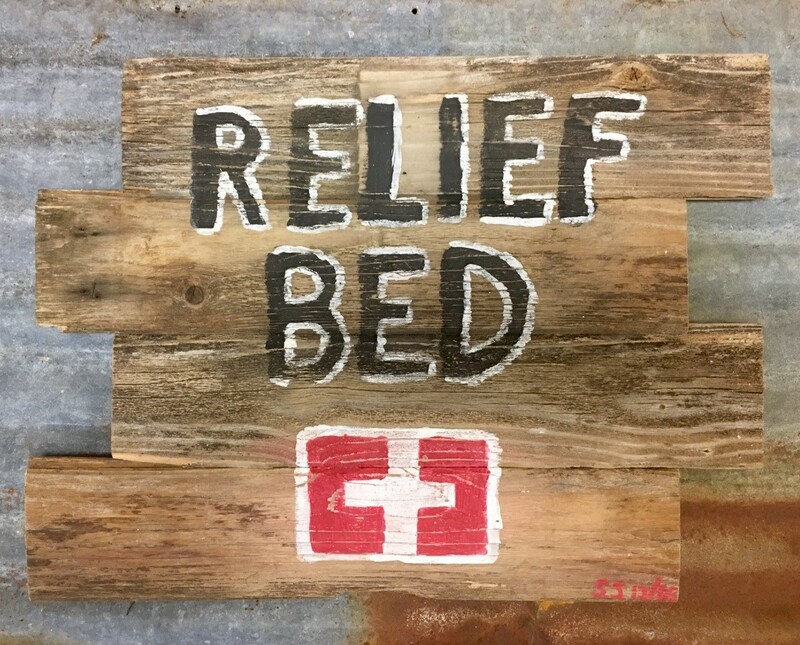 UPDATE: RBI Surpasses a Milestone Distributing More Than 5,000 Beds. 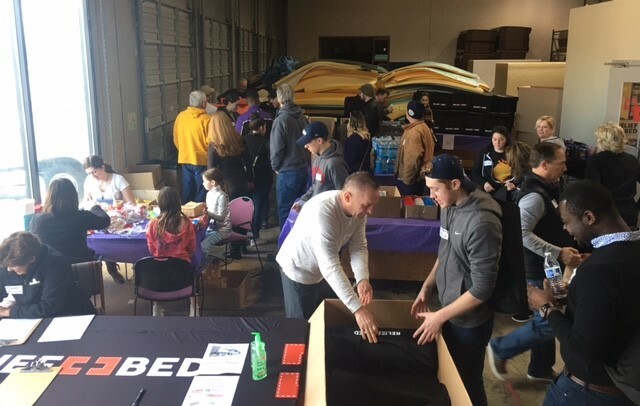 On a beautiful spring day in the Pacific Northwest 42 volunteers gathered at Relief Bed International's headquarters to build over 150 Relief KITS that would ultimately be paired with sleeping bags and sack lunches to be distributed to the city’s homeless. Early that morning Smalling and his teenage son, Hunter Smalling, a senior in high school, transformed the family's warehouse into a production line of sorts with numerous tables all adorned in lavender table coverings in honor of Easter weekend. The tables were piled high in strategic order with the future contents of the Relief KITS. Contents included; Durable carrying case with shoulder strap, a weather proof sleeping mat, bottled water, socks, hygiene kit, first aid kit, rain poncho, space blanket, knit hat and gloves and a bible. 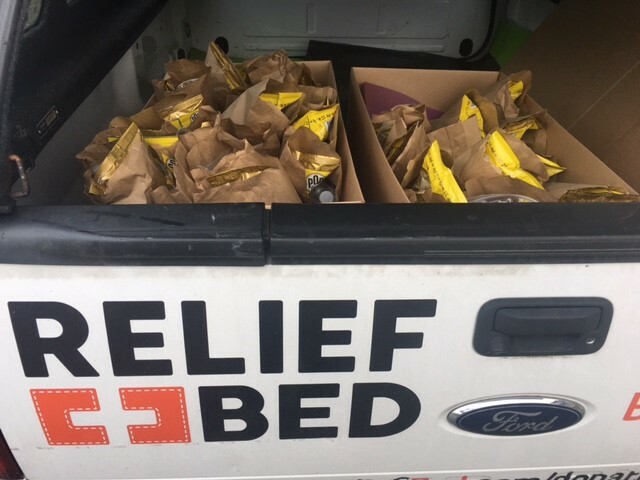 Next to the production line of Relief KITS were 4 enthusiastic girls, led by Smalling’s daughter Sharky, 15, preparing 180 peanut butter and jelly sandwiches which were ultimately placed in a lunch sack with popcorn and Easter candy. 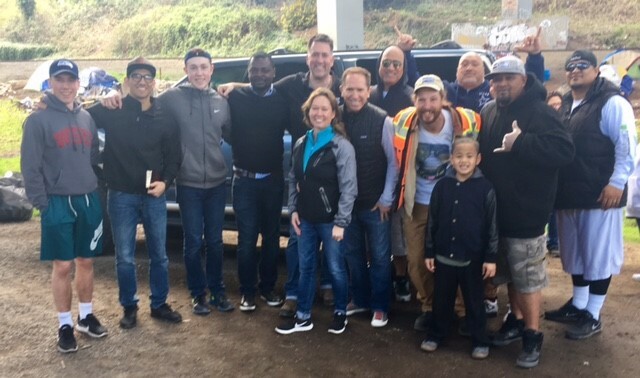 After the volunteers completed the KITS and lunch bags the group broke into 5 teams and set out to the most populated homeless encampments in the city to distribute. A month prior to the project, Smalling was asked by potential volunteers why he chose a busy weekend like Easter Weekend? Smalling was quick to respond to this understandable question. “Holidays are the loneliness times of the year for people living on the street," Smalling said. "We were all children at one time and can hopefully remember holidays being times of family gatherings and special meals. We just wanted to make sure that they were not forgotten. Lastly, our family celebrates Easter as the time that Jesus Christ was crucified for our sins, died on a cross and was resurrected. Hence, we felt it was even more poignant to share the love of Christ on this special weekend with our friends living on the street," Smalling continued. 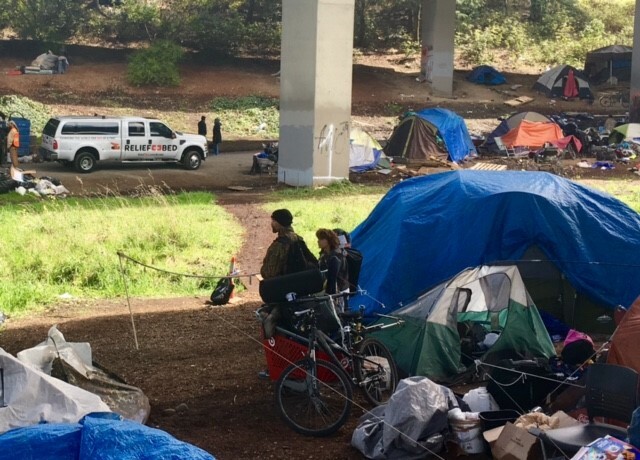 The Thursday before Good Friday the City of Tacoma announced a “Sweep” of the largest encampment called the Jungle which would take place on Tuesday after Easter. Prayerfully considering how RBI could help make this day less stressful to those being uprooted, Smalling decided to make 80 care packages with his remaining items from the previous weekends project. Arriving at 8am with a large, empty, 1 ton truck, aside from the care packages, Smalling asked the numerous Police Officers on hand if he and a Street Pastor named Rev Bruce Walmer could pass the official barricade and serve the residents of the encampment and offer them help to relocate. TPD cautiously allowed them to assist. 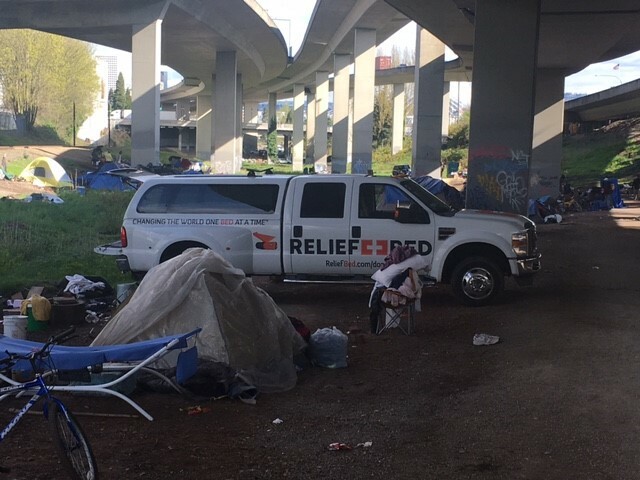 Fast forward to the end of the day Smalling, Walmer and an assistant named Boom helped relocate numerous people and moved six truck load’s of tents, blankets, sleeping bags and personal belongings out of the encampment. To the astonishment of the 15 Tacoma Police Officers on hand, DOT work crews preparing to clear the site and every major news network present, the day ended with no drama and most residents leaving peacefully. No other city or private organizations assisted in the relocations.